Hi guys! Myself and Kamen Rider OOO are attending Power Morphicon this weekend. As breaking news hits and is front paged, this will be the discussion thread! Enjoy! behold the official logo for Power Rangers' 25th Anniversary. Wonder when the cast of the PR movie will join Power Morphicon? Liking the logo. 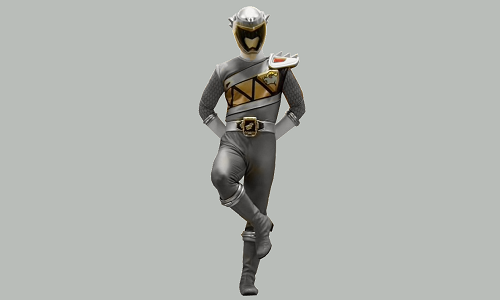 Using the dino buckler/power morpher was a nice choice. I hope we get a Beast Morhers Trailer. I hope to see the Beast Morhers box & card art all so. Last edited by captain N; 08-17-2018 at 04:39 PM.. I hope to send the Beast Morhers box & card art all so. I’m still holding out hope for any Legacy stuff. Soul of Chogokin Titanus is on display! Artist Matt Frank is in attendance and, in addition to his great Godzilla items, has some new toku items available. First are the Redman pins he had at G-Fest, but he also has Redman sticker sheets with art provided by Josh Perez (originally offered at Mutant & Monster Mayhem Toy Show), Redman t-shirts, and last... he has the freshly released Redman: The Kaiju Hunter Vol 1 graphic novel!! Those not there though can get most of that at https://nightshininginc.com/redman FYI!